I love the way you photograph and display the delicious meals you put together - yummy! 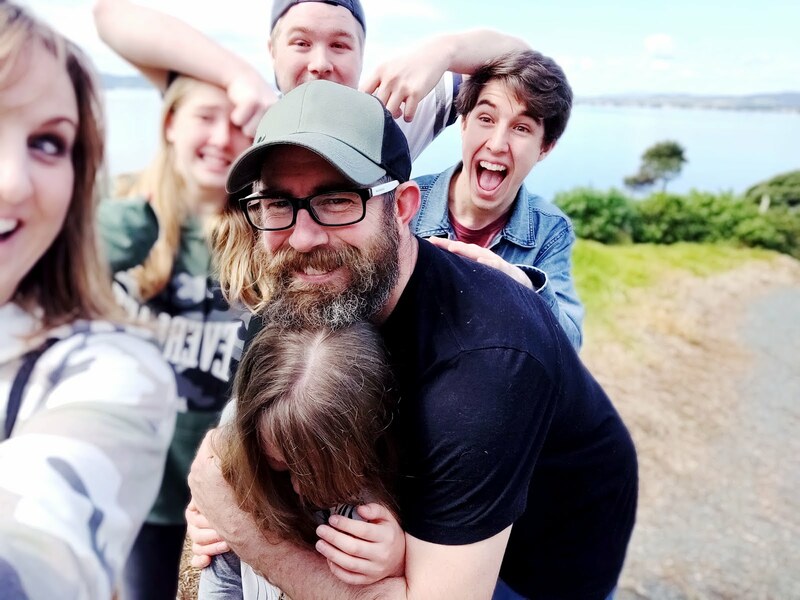 You should link this post up with Lou over at Seaside Siblings - she's started a weekly '4 Seasons' linky, celebrating what people are doing in their homes linked to the seasons. BBQ season is here! Yah!!!!! Thanks Sarah - will pop over there now! Yum - thanks for sharing. 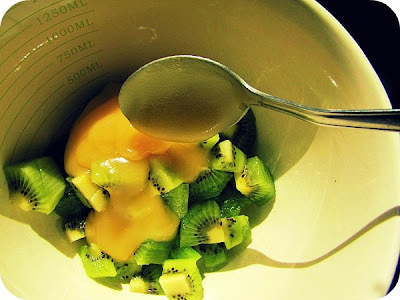 My kids love kiwifruit so definitely worth a try. Yummy. Love the look of your noddle salad. 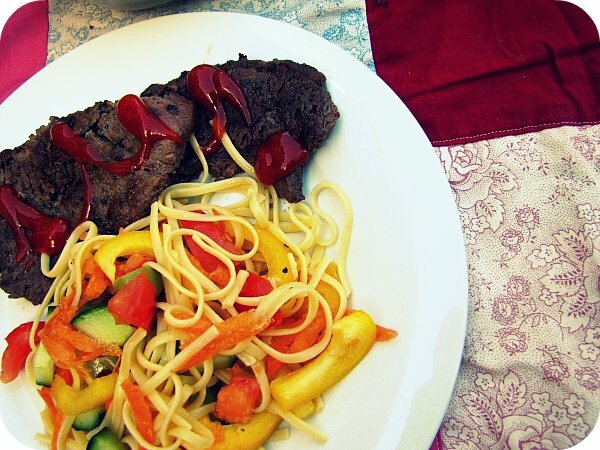 Do you use a recipe or simply add whatever you have in the fridge? 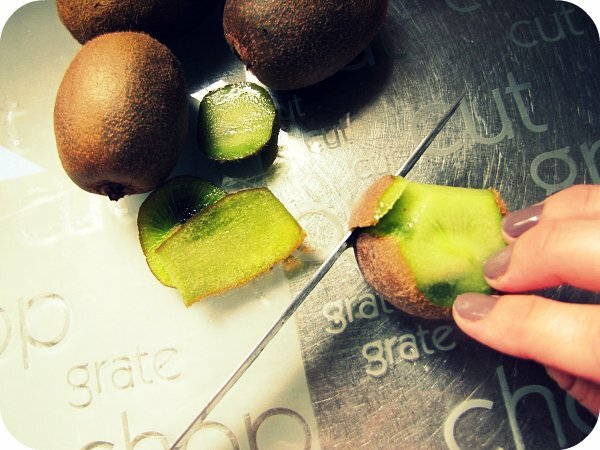 there's something in the acid of the kiwifruit that tenderises the meat apparently ay? Anonymous - I just add whatever I have handy. Tonight it was tomatoes, cucumber, grated carrot, yellow pepper, olives and a dash of oil and seasoning. Really yum! Ana - Usually I discard the excess, but you could try cooking it up! Dee - mmmmmmmmm. Sounds delish! Sometimes I do a garlic, soy sauce and chilli sauce marinade! Yum! 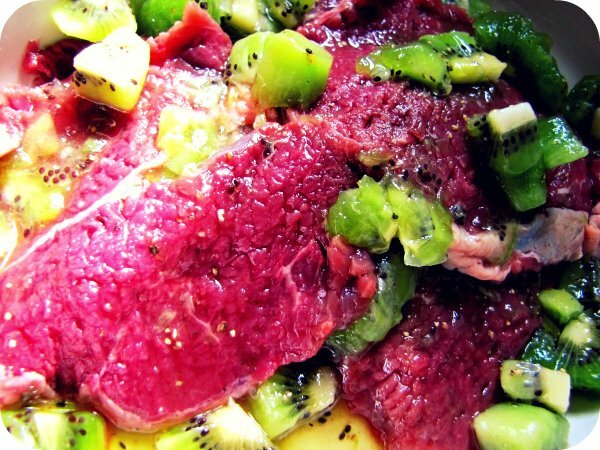 Ive never heard of a kiwifruit marinade but definately sounds good. Will have to try it for our next bbq. Yum! 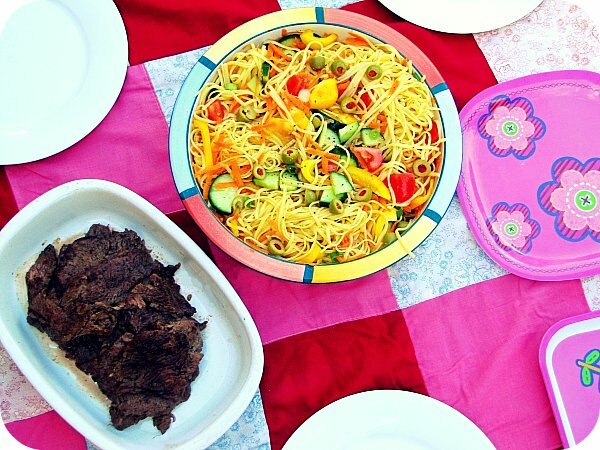 It looks so much like summer on a plate. Yum! That makes me feel very hungry, looks delish! ohh kiwi--definitely one of my favorite fruits. Your dishes look so yummy! aohh this looks so delicious! i can't even comprehend that it is summer for you, haha. but i really want to try this this weekend! yum yum...what time is dinner? I've never heard of a kiwi marinade either. I'm imagining this remade into a salad dressing... yum! 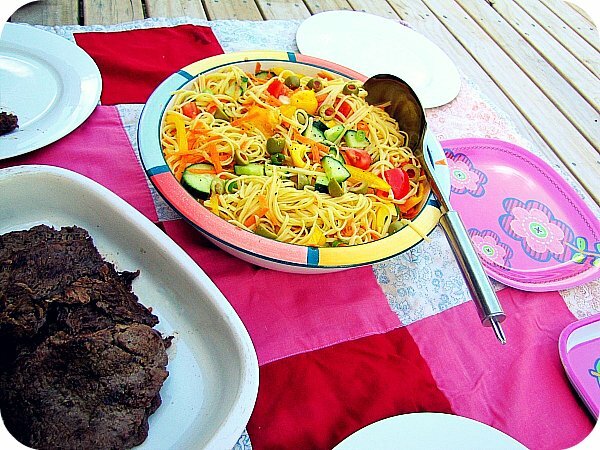 that noodle salad looks delish! Scrummy meal! 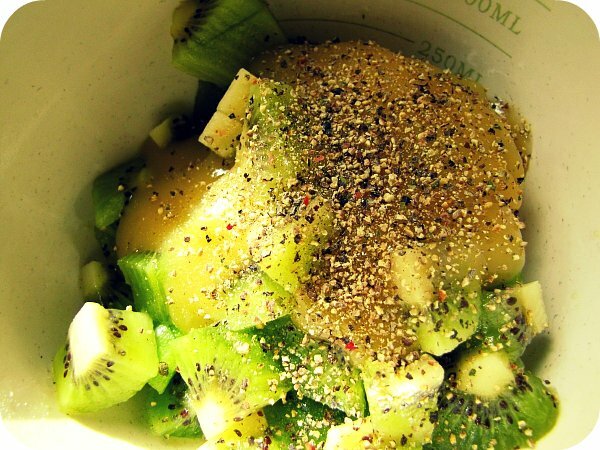 I never ever heard of kiwifruit marinade...thanks for sharing. 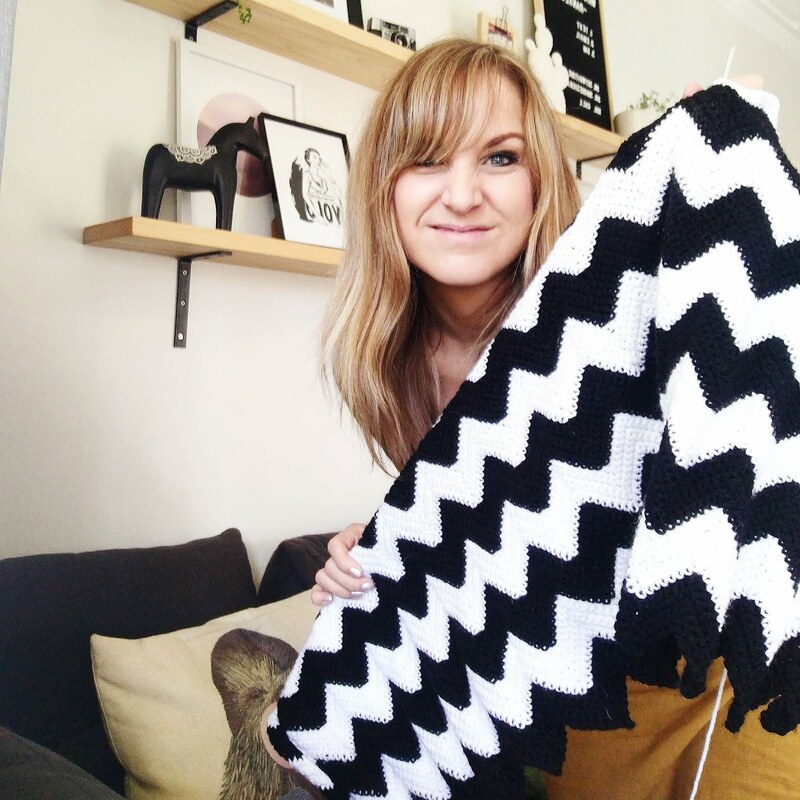 Also, did you know your cellphone pouches are featured on today's felt blog? (It's also on the felt page http://www.felt.co.nz/, you just need to scroll down). Congrats!! I was quite excited when I saw it! My sister gave me the tip that when using kiwifruit in baking (I've never used it in cooking! Must try this summer!) it's much easier to slice in half and spoon out, much the way we do to eat it! Makes life easier!